Advertising in Horse Times can prove to be a cost effective venture for enhancing and developing your business. The primary strength of Horse Times as an advertising medium is reaching specific audience niches, including prominent businessmen and members of elite societies. We like to think that more people are interested in the news of the world than in handicrafts, but that isn't necessarily the case. In General, Where are the Readers? 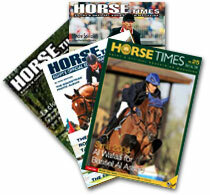 Horse Times is distributed to key corporations throughout Egypt & the Middle East. In addition, the magazine is hand-delivered to an exclusive subscription base. 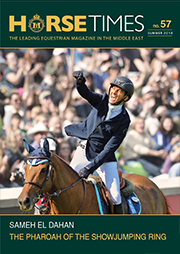 Horse Times is an accredited international magazine with an effective & ever-expanding distribution throughout Europe, Africa & the Arab world. At Horse Times we are very meticulous about whom and where the magazine goes to, as well as having a distribution agency and staff that works according to a specific and effective distribution scheme that ensures the delivery of the magazine to subscribers whether by hand or by mail. In addition, 1,500 copies are placed in EgyptAir first & business class cabins of flights travelling across the Middle East.
.:: back to top ::. The Egyptian Equestrian Federation, the Egyptian Arabian horse Breeders Association (EAHBA) & the Horse Owners Association. Equestrian clubs, Jockey clubs & Sport clubs: Army equestrian club, Ferousia riding club, Gezira equestrian club, Kings Ranch equestrian club, Semouha Alexandria club, Sporting Alexandria club, Suez Canal equestrian club and the Police Barracks equestrian club. A selected group of Multinational companies & Advertising Agencies. A selected group of Coffee Shops: Cilantro, Coffee Bean & Tea Leaf, The Crave & Retro. Residential Compounds: Arabella Park, Beverly Hills, Gezira Compound, Kattamia Heights, Mirage City & Palm Hills. A selected group of members from The American Chamber of Commerce and the German Chamber of Commerce. Embassies: Argentina, Australia, Austria, Belgium, Brazil, Britain, Canada, France, Germany, Jordan, Kuwait, the Netherlands, Oman, Portugal, Qatar, Saudi Arabia, Spain, Syria, Switzerland & the USA. A selected group of Equestrian Federations in the Middle East, Europe & the Americas. A selected group of Equestrian Federations & Clubs all around the Middle East. VIP's, Sheikhs, & Royal Dignitaries: Dubai, KSA, Kuwait, Oman, & Qatar. International Riders: The top 50 at the Gandini ranking list. International subscribers: Australia, Brazil, Britain, Chile, France, French Reunion, Germany, Jordan, Portugal, Saudi Arabia, Serbia, South Africa, Sudan, Syria, & the USA.